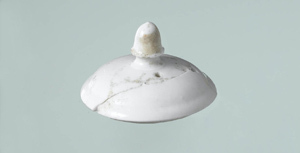 This section of the website contains papers I have written or co-written and published in ceramic journals. They are arranged in reverse chronological order of publication. You can download the PDFs but some of these files are large so please allow a little time for the download to complete. 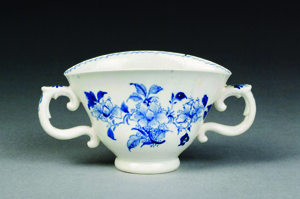 An unusual cup once described as experimental Vauxhall porcelain was tested with an XRF technique which identified a seemingly unique characteristic present in other Bovey Tracey porcelain objects. The find makes it the fifth piece of Bovey Tracey porcelain identified although recently published work by others may increase this number. 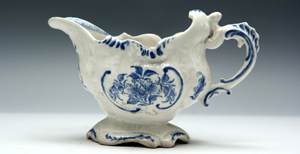 With the close of the Chelsea Derby factory in the 1780s it has generally been thought that no porcelain was manufactured in London during the rest of the century. This short paper examines an advertisement in 1800 which appears to document the closure of a previously unrecorded pottery manufacturing porcelain in Hammersmith, London. 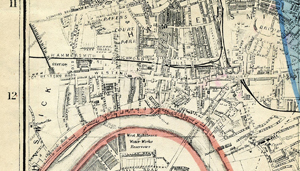 The rediscovery of the Isleworth factory resulted from archealogy in 1998 which was followed later by further work at a site to which the factory moved. Following this a number of wares have been attributed to the factory, many of which unsupported by any evidence from the digs. 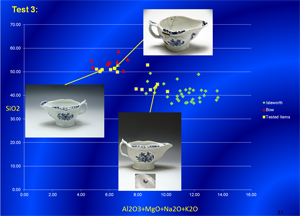 This paper uses chemical analysis techniques to examine the possible Isleworth pieces, the results of which did not always support the attributions. Only two 18th century porcelain factories are known to have existed in colonial America and between them less than 30 extant pieces have been discovered. This paper resulted in the recognition of some of these pieces and used scientific analysis to suggest that there may be other pieces too, all found in England. The rare “A” marked porcelains have for some time been associated with the Bow first patent of Heylyn and Frye although conclusive documentary evidence has not been found. This paper examines a teapot lid matching “A” marked pieces which was found during excavations at Stratford and it’s possible links to the Bow first patent wares. A few years ago the fact that porcelain was made at Bovey Tracey by Nicholas Crisp, the former proprietor of the Vauxhall factory, was known only from a few porcelain sherds on the factory site. These sherds were chemically analysed and found to be distinctive and this has assisted in the attribution of extant pieces to the factory. 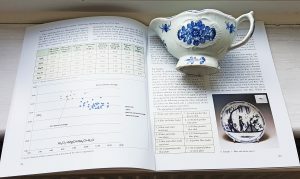 This paper marked the second piece of Bovey Tracey porcelain which was found through connoisseurship but scientific testing has added to the certainty of the attribution. At the present time there are less than 10 attributed pieces. This paper sets out the story of English workmen who travelled to America to work for the American China Manufactory in Philadelphia, a pottery founded by Gousse Bonnin and George Anthony Morris. It documents the discovery of the name of a potter who died in Philadelphia who may have been William Ball, a potter previously associated with Bow, Limehouse, and with managing William Reid’s former factory in Liverpool. Early English porcelain sauceboats were significantly influenced by silver, copying the sometimes elaborate shapes designed in silver for fine dining rooms. 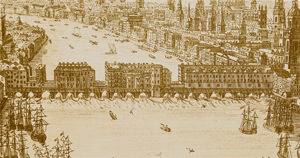 The paper tracks with extensive illustrations the changes in design as the 18th century progressed. The China Club revisited in an economic context – an idea too late for its time. 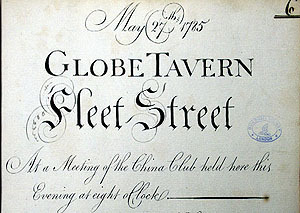 This paper examines the attempts of the China Club, a group of china dealers formed by Miles Mason in 1785, to control the market for Chinese porcelain imported by the East India company as well as other activities which they objected to, including night sales. Set against the growth in the economy and in china sales experienced in the final quarter of the 18th century this was an attempt always destined to fail. A paper detailing ceramic references in 18th century Old Bailey court cases, including references to London china dealers, together with a Kings Bench case in which the East India company prosecuted a group of dealers who had formed the “china club”.